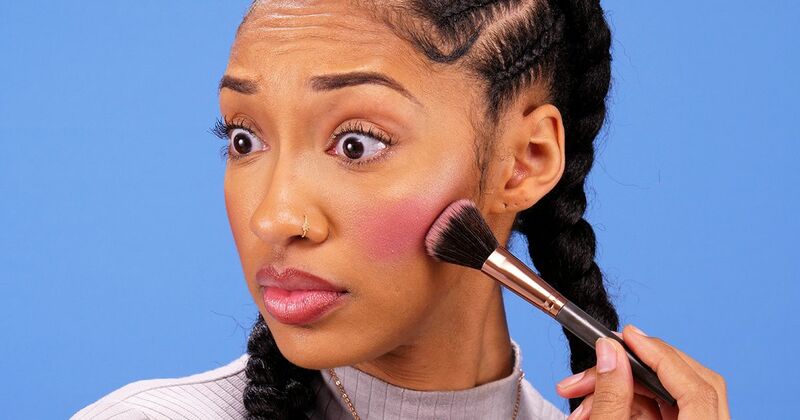 Blush is one of the trickiest makeup products to apply. In the pan, bright colors beckon to be bought. Unfortunately, highly pigmented products often go on blotchy and can be difficult to diffuse. Unless you like the "racing stripe" effect, it's best to work with a more forgiving shade. Pale powders and silver-toned cream products may seem tempting, but if you have dark skin, it's best to steer clear of these choices. 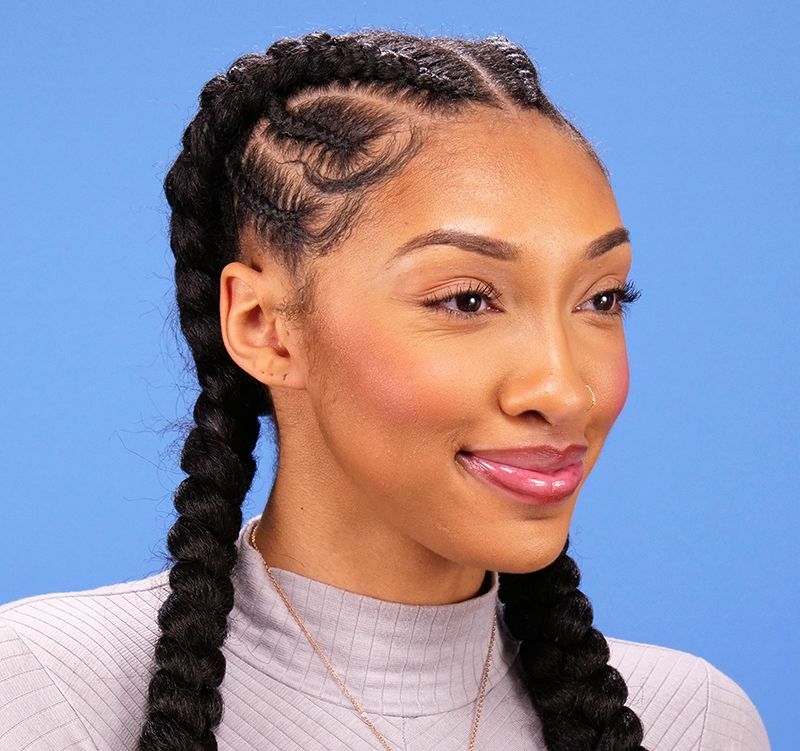 Pale tones rarely work even as highlighting colors, and low-pigment creams often lean toward the cool side of the spectrum, which makes them look ashy or dull on dark skin. When buying blush, warm rose shades work well, as do peach and coral. Watch the following tutorial to see what works and what doesn't, then follow the instructions below to learn how to apply your new color. 1. Choose a blush color with warm undertones. Avoid products that are very pale, shiny or highly pigmented because these can disappear or look ashy and unnatural when applied. 2. Gently sweep a fluffy blush brush along the blush, then tap the brush handle against the counter to eliminate excess powder. 3. Gently sweep the brush along your cheek to deposit the color, then swirl the brush in small circular motions to diffuse the blush and eliminate any harsh edges. When it comes to blush, it's best to use a soft touch and a small amount of product. It's easier to build up a light color than to remove excess blush.